IC 2545 is a beautiful, but deceptive object that appears to be a single S-shaped galaxy, but is actually a pair of merging galaxies. The two cores of the parent galaxies are still visible in the central region. Other telltale markers for the collision include two pronounced tidal arms of gas and stars flung out from the central region. The tidal arm curving upwards and clockwise in the image contains a number of blue star clusters. 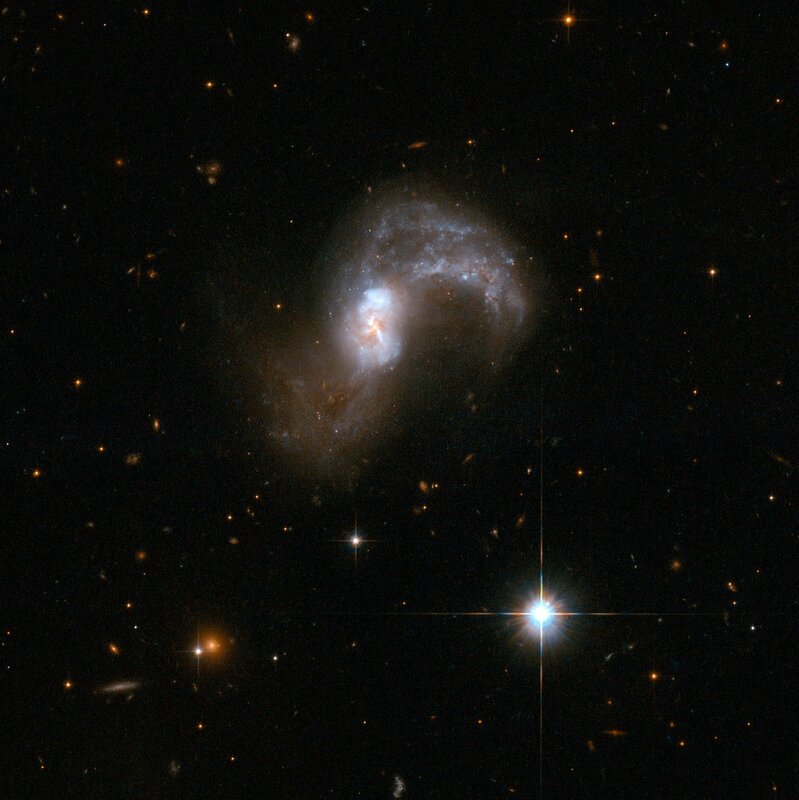 IC 2545 glows strongly in the infrared part of the spectrum - another sign that it is a pair of merging galaxies. It lies in the constellation of Antlia, the Air Pump, some 450 million light-years away from Earth. Position (Dec): -33° 53' 10.98"